A move by Mike Ashley's Sports Direct to pursue a possible offer for Debenhams got a cool reception from the department store group today which warned it would not address its immediate funding needs. Sports Direct, which last year bought department store chain House of Fraser out of administration, has a near 30% stake in Debenhams. It has been trying to wrestle control of the ailing department store group for months. In an announcement after the stock market had closed yesterday, Sports Direct said it was considering buying the whole of Debenhams to prevent a restructuring that could wipe out all shareholders. Though Sports Direct did not indicate a price, its move prompted a jump of as much as 52% in the department store group's battered share price today. 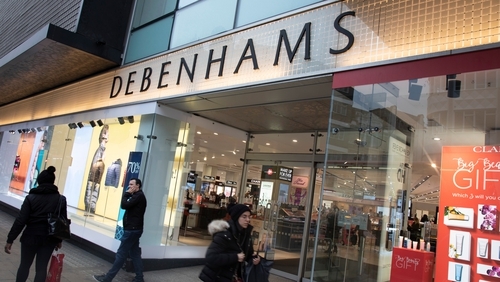 Debenhams said it will continue with its plan to seek £200m of additional funds from lenders that it detailed on Friday. It also needed a clear plan from Sports Direct of how Debenhams' existing debt - which would fall due on any change of control - would be repaid and a proposal that addresses its immediate funding requirements. Under UK takeover rules, Sports Direct has until April 22 to announce a firm intention to make an offer. Analysts said that if Mike Ashley wants to make this stick, he needs to come out with an offer pretty quickly, along with a plan to meet Debenhams’ immediate funding needs. Shares in Debenhams were up 39% at 2.11 pence, valuing the equity at just £26.4m. The company's bet debt as at January 5 was £286m.